Sirio "UltraBlack" is the most unique and the most intense shade of "Black" satin-smooth text and cover paper ever produced by a paper mill. It's the latest addition of black to the Sirio palette of colors. Machine-made and refined in Italy by Fedrigoni for incredible performance and application in several mediums; the innovative composition of the alpha cellulose pulp without carbon black dyes prevents oxidation when hot foil processes are used, and also helps reduce scuff-ability. Sirio "UltraBlack" is perfect for the most sophisticated packaging applications; takes embossing & de-bossing; suitable for offset printing, letterpress printing and serigraphy. 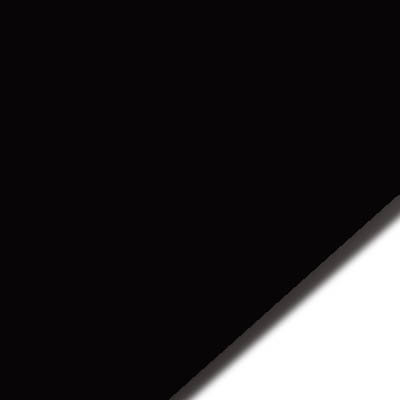 Because of its intense coloration it makes the perfect sheet for pastel artists that want a rich, deep and dense black. The availability of a 115gsm text weight make the production of matching envelopes to the 3 stocked cover weights a non-issue. This paper is neutral pH to ensure longevity regardless of the application. When the blackest "Black" in a paper is what is desired there can be no substitute for "UltraBlack".